Staircases | The Life and Times of a "Renaissance Ronin"
ISBU Storage – When is enough enough? I received an email the other day that really made me think about the things that families consider when planning and building their ISBU homes. More and more, as house footprints are decreasing , the quest for storage is increasing. There’s a disconnect between downsizing your structure and downsizing your possessions. We’ve been planning this for a while now, after a few years of research. We’re amazed that people know you everywhere. Beyond all the families that you’ve helped here in the US, we have friends in New Zealand that you helped build… who know people in OZ that you helped as well. Is there any place that you haven’t built an ISBU home? Have you seen any cool storage ideas that we might incorporate into your design that might allow us to incorporate more storage? We need your help. I suppose I should counsel you to consider “downsizing your collections” but that’s another Cable reality show, huh? LOL! 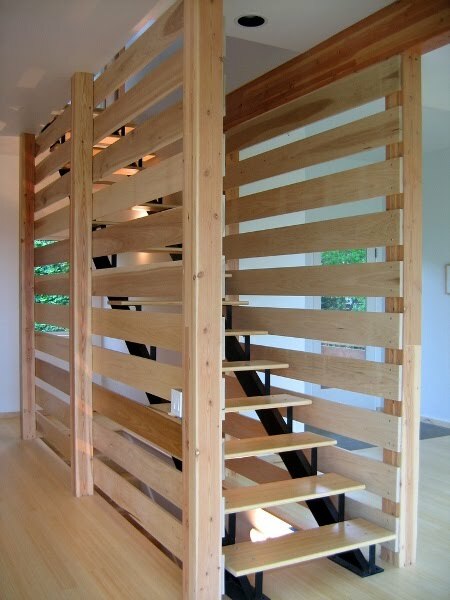 I’ve run several posts on the blog about using staircases to incorporate additional storage. We’ve found that it’s one of the most overlooked areas in the home for “parking those collections”. 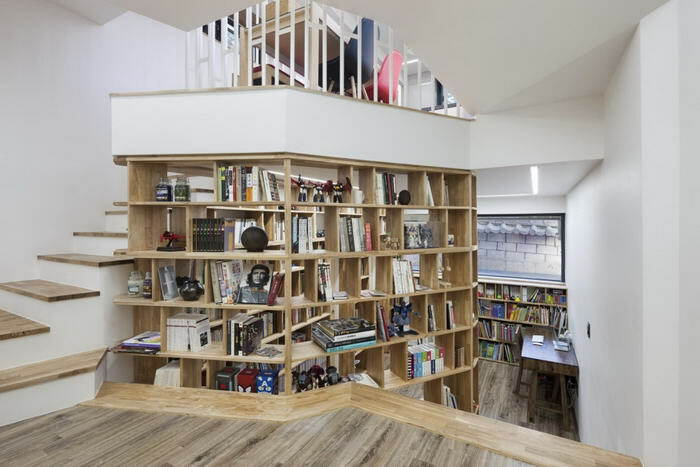 This is a Korean home (Moon Hoon), but you can see how they assigned the space. It’s really quite cool. And… take it a step further. A really smart person would incorporate even more space in that staircase using a “hatch” system to reclaim that space under the stair platform. Sure, it might take on a “nautical” theme (imagine a sailboat with storage lockers built into the decks), but you could really get a lot of storage out of an arrangement like this, including your “extended pantry and gear storage” areas, within easy reach during hard times. This is especially important if you’re considering an “off-grid” home. Think about how many interesting spaces an arrangement like this creates. You could build a neat sitting area in the lower section as the stairs wrap around. I’ve thought about doing something like this to allow for great storage AND a nice place for kids to to homework or crafts. I’m always telling people to “think out of the box”. Sometimes it works to let those boxes create new space, for you. Keep us posted about your home build! Okay, I’m still out sick. Back from the road and right into the bed… Oy. Can you say “bleah!” ? So, lately (from my bed), I’ve been working on a series of two story, small footprint ISBU homes. In keeping with our mission, we build UP… not “expensive”. And, since our anti-kryptonite cape is out at the cleaners, we need a staircase. What are some of YOUR favorite staircases? 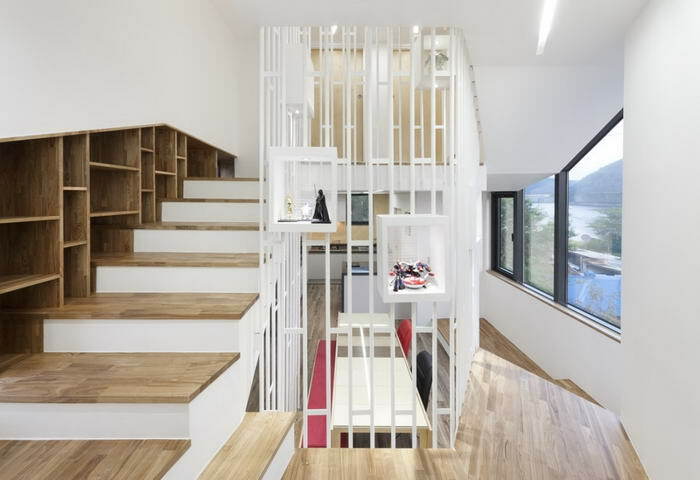 This staircase is to die for… I mean… really. You could get half of the Library of Hogwarts… um… er… Congress in there! LOL! 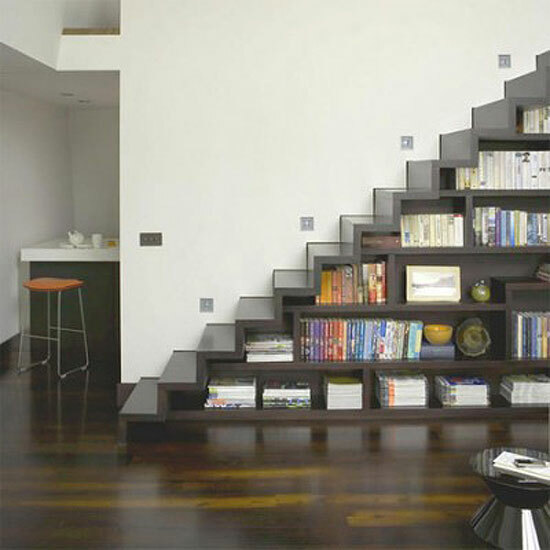 Okay, you don’t like the “Harry Potter bookcase”… How about this one? Lots of storage and good looks too! Okay, the lack of a rail IS disturbing. We can fix that. I love how clean and industrial this looks. Seriously. I’d have this in MY ISBU home in a minute. IN fact, I suspect this very same staircase is going in my personal studio. 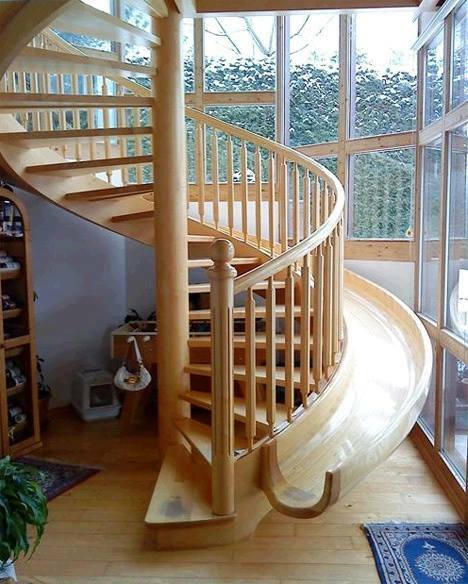 Best Staircase EVER. Joshua (my little boy) is going to love this! Seriously, SHOW us the stairs that really light you up. Who knows? 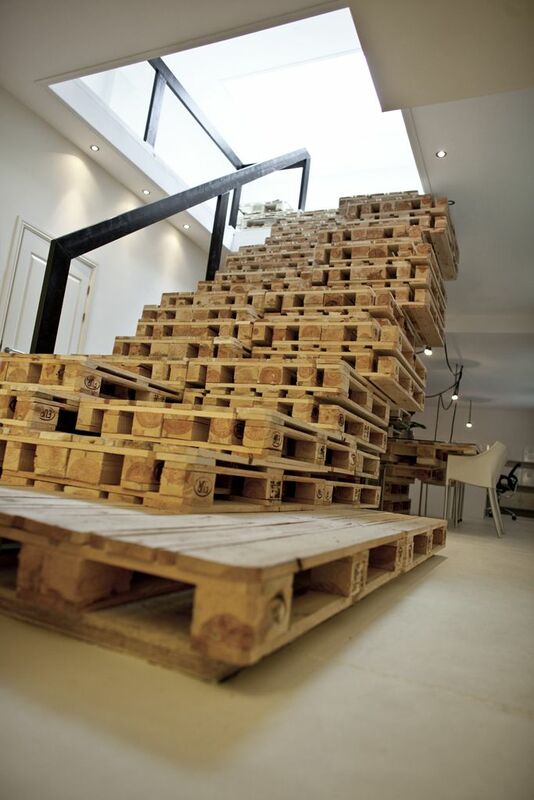 We might just build your staircase into one of our projects!